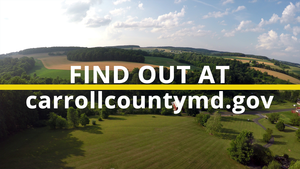 Carroll County Unveils New Website - Check it out here! Visit the new website with the new domain name carrollcountymd.gov today! Learn more about Commissioner Rothstein here. At the request of the Board of Carroll County Commissioners in 2014, the Carroll County Environmental Advisory Council (EAC) developed the booklet, Environmental Stewardship in Carroll County. Carroll County has a great story to tell, and this booklet summarizes some of the positive environmental steps that the citizens and local government have taken. 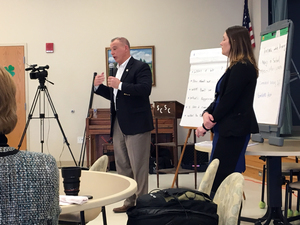 The 2018 Freedom Community Comprehensive Plan outlined an implementation step of encouraging and engaging a citizens’ community advisory group. I am asking members of the Freedom community to come forward to initiate this group. This advisory group will be a voice for the community and another way to encourage and gather feedback to advise me on happenings in the area. Although this is the community’s group, it can utilize county resources for assistance. For example, the Planning Department is happy to attend regularly scheduled meetings and report on the latest updates of the planning department. Please reach out to me if you are interested in leading or becoming a member of this council. This project is a win-win for the private and public entities involved. Excess dirt from the Elderwood Village Stormwater Management Retrofit project on Monroe Avenue is being moved to the Luers Lane project location. The county saves over half a million dollars by not having to dispose of excess soil while Luers Lane benefits from having extra soil to level their site. To date, the county has hauled approximately 35,000 cubic yards of material to the site. The Shannon Run Stormwater management facility is an existing facility located within the Town of Sykesville. W.F. Delauter & Son Inc. recently began construction at the site, with tree clearing and the installation of erosion and sediment control measures. This retrofit will include the installation of several new storm drain systems to convey drainage to the facility in a non-erosive manner, improved slopes to allow for ease of maintenance, along with additional volume to treat stormwater in the drainage area. The county received funding from the Chesapeake and Atlantic Coastal Bay Trust Fund to pay for a portion of this project. Other topics, many of which are covered in this newsletter covered roads and traffic, development and safety. Subscribers to this newsletter will receive notification of upcoming town halls. ICYMI! Watch the Town Hall meeting here. Anirban Basu, Chairman & CEO of Sage Policy Group, Inc. presented the 2019 Economic Outlook on April 2nd in Westminster. Mr. Basu’s presentation entitled “To All the Economists I've Loved” provided detailed insight into global, national and regional economies using the most up-to-date data available. Special attention was focused on critical elements of economic life, including the performance of financial, labor, and real estate markets. View the 2019 Economic Outlook here. Click for the presentation. Carroll County has funding for the water and sewer lines and it makes sense to complete all the work at the same time to minimize disruption to the businesses and residents on Main Street. The Freedom Readiness Center contributed funds to the MDOT SHA construction project for their associated roadway improvements. Improvements will construct left turn lanes on MD 32 which will enhance safety and the through movement operations. A separate right turn lane from Northbound MD 32 to Bennett Road will still be provided. The contractor was delayed in 2018 due to an unanticipated utility conflict and the rainy weather. Working with bonding company; contractor has voluntarily defaulted. There is approximately one month’s worth of work left to complete. MDOT SHA recently completed signal timing changes at this location. The cycle length was changed from 135 seconds to 150 seconds. We will continue to monitor the operations. Efforts are to establish a corridor plan that can be implemented through smaller projects in MDOT SHA’s system preservation programs or by access permits as properties develop in the corridor. Considering a boulevard with a narrow median from MD 32 intersection to Oklahoma Ave. This would eliminate left turns at locations other than major intersections. Locations for U-turns will need to be identified. Also considering sidewalks on both sides of MD 26 from MD 32 to Panorama Dr.
ACTION: MDOT SHA to review traffic volume on southbound Georgetown Blvd to determine if there is a benefit to changing the right lane from a right-turn only to a shared thru/right-turn lane. 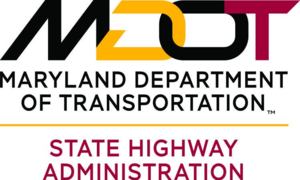 ACTION: MDOT SHA to check with Office of Structures on deck patching schedule. 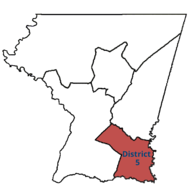 The Carroll County Board of Commissioners dedicated funding to extend Carroll Broadband to select business parks in Carroll County. This expansion will allow for high-speed broadband access to be delivered by various internet service providers. Liberty Exchange is the most recent park connected to Carroll Broadband. Park tenants may learn more about Carroll Broadband and research internet service providers here. Coronis Health relocated their corporate headquarters to Liberty Exchange on April 8, 2019. Founded in 2015, with offices in St. Louis, Salt Lake City, Chicago, Detroit, and Frederick among other locations, Coronis Health offers multi-specialty healthcare billing services to hospitals and physicians’ offices across the country. The company's total employee count world wide is 600. On March 26th and 27th county staff held meetings to present the text and format for the Commercial/Industrial/Employment Campus districts and possible changes from the existing code. Over 150 people attended the meetings in Westminster and Sykesville. Prior to the meeting, approximately 1,200 letters were sent to properties currently zoned in the county’s business and industrial districts. The commissioners are now accepting comments from citizens. Many of the comments received are regarding existing homes in the commercial districts, contractor equipment storage yards, and vehicle repair shops. Property owners expressed concerns over whether this would affect their property taxes, what is a non-conforming use, development projects in process and rezoning property to something else. The commissioners are working collaboratively and productively through a challenging budget process. Open dialogue with county department directors and agency leaders is proving effective and allowing for some flexibility with difficult decisions.The county budget process continues with the schedule listed below. Open Session meetings are available for viewing on the county meeting portal and YouTube channel. In addition, all meetings will be replayed on Comcast Channel 24. All meetings will be held in the County Office Building, 225 N. Center Street, Westminster, unless otherwise noted. Meeting times and places are subject to change, so please check the county website or call 410-386-2400 to confirm. Thank you to the many citizens who attended my town halls and other county outreach meetings. It is very important to me to receive feedback from as many residents as possible. I will continue to communicate with you; but please know I want you to communicate with me. Community engagement is at the heart of my service as commissioner and to adhere to my vision, I need your community involvement. Please let others know about this newsletter. Listen...to you, Learn..from you, Lead...with you.